Runner, tanker, ANYBODY! 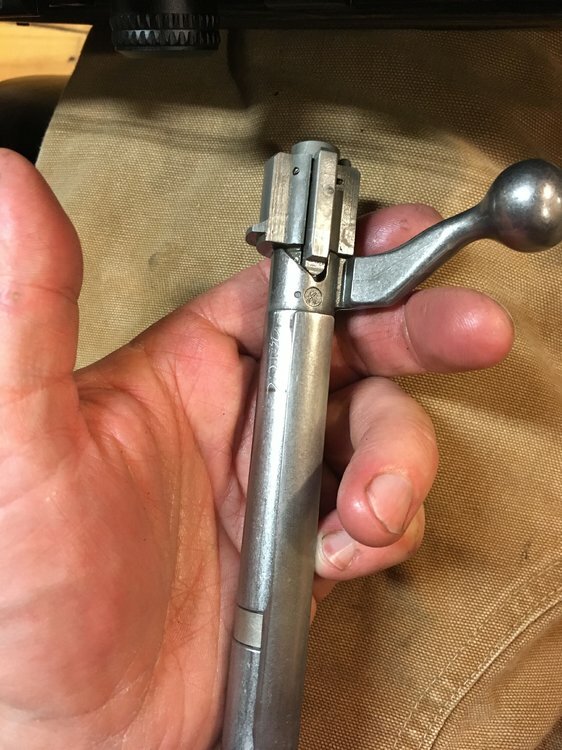 Mauser action help! 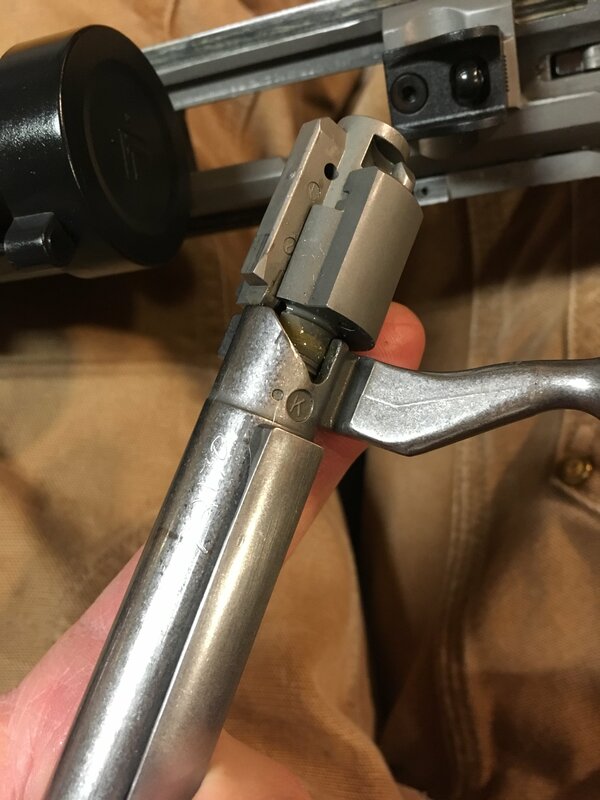 i was cleaning my Scout rifle, the bolt fired and I can’t get it in and I can’t get it to go to the unfired position. Bolts really aren’t my area of familiarity, what do I do? 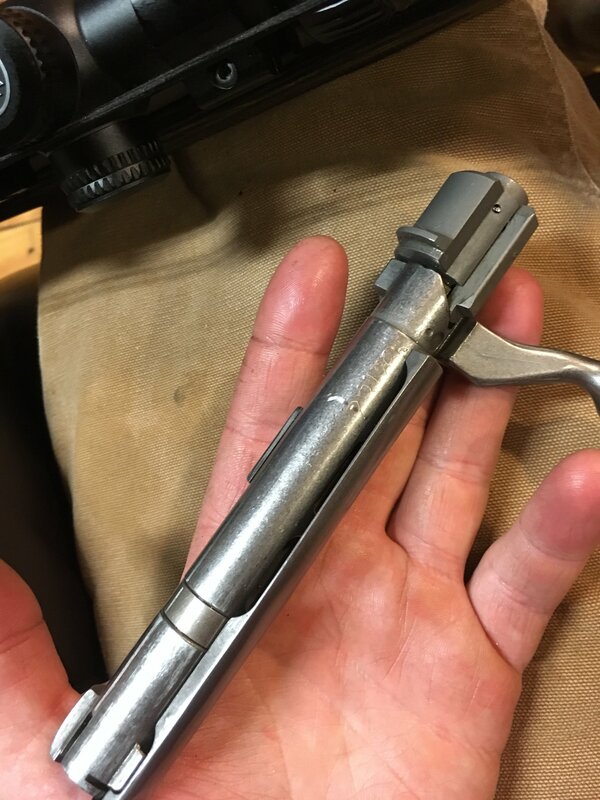 Looks kinda like my arisaka bolt. I bet i could get it with some time but no way could i put it into words for ya. Ill text runner and tell him we have a bolt action 911 on our hands! 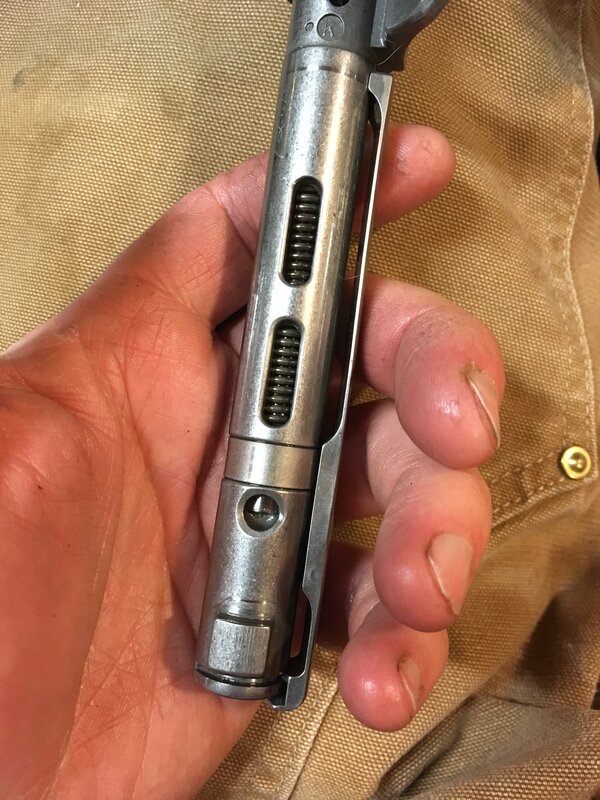 As far as I know you need to turn the back part of your bolt so it goes up the ramp into the notch that you see on the left. That sounds right. 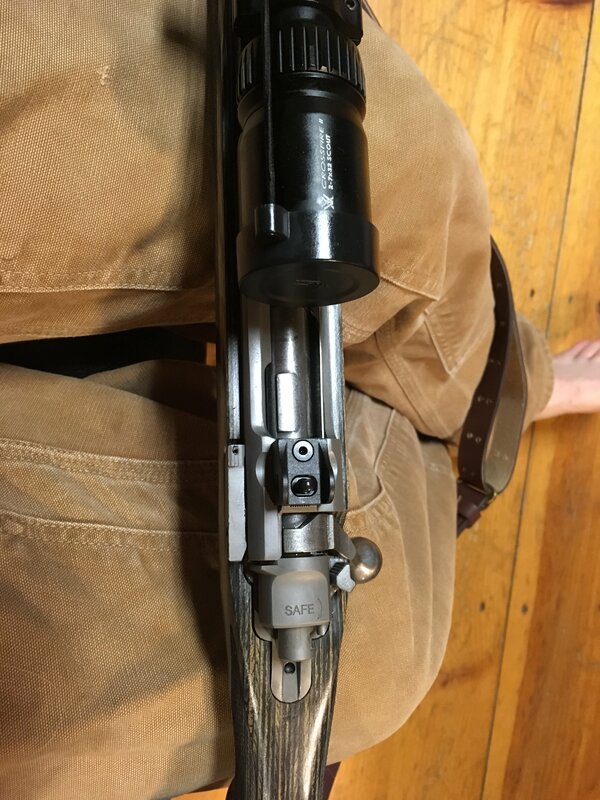 Had it happen to my arisaka once. I texted runner so maybe he will have a definitive answer. it moves if I pry carefully against it. Vt, you need to pull that spring back and rotate the bolt back. It will set the pin back into fire position. Then you'll have to slide your extractor around into the correct postion so it slides back into the gun. Don't use anything that will mark it up. 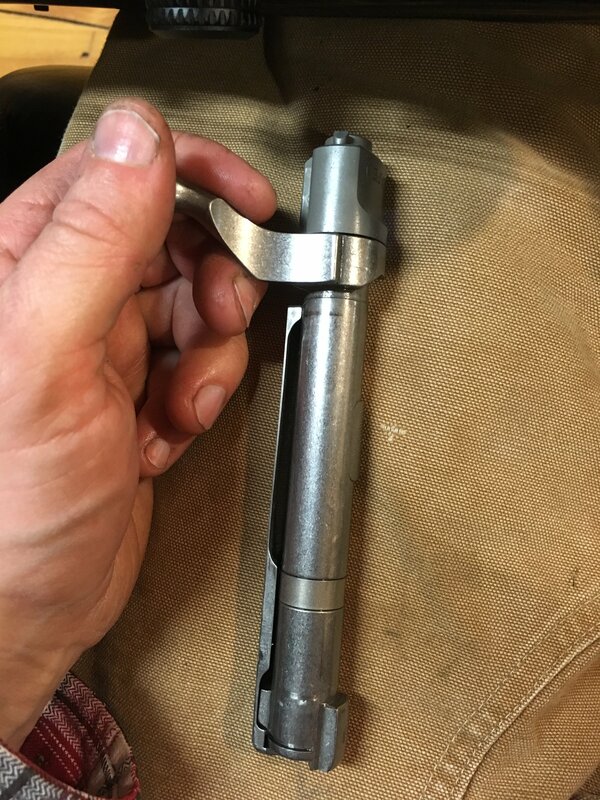 If you can get rags around the bolt and get it in a vise to hold it I think you can turn that back up by hand. Thanks for that video. That bolt is a little different from mine but it is similar enough to get the idea. I thought maybe there was a trick other than pulling the spring back bodily. I was cleaning along and snap! Yea but that's how you do it. Thanks guys, helpful video and everything. Now you'll remember next time it happens haha. Glad you got it. 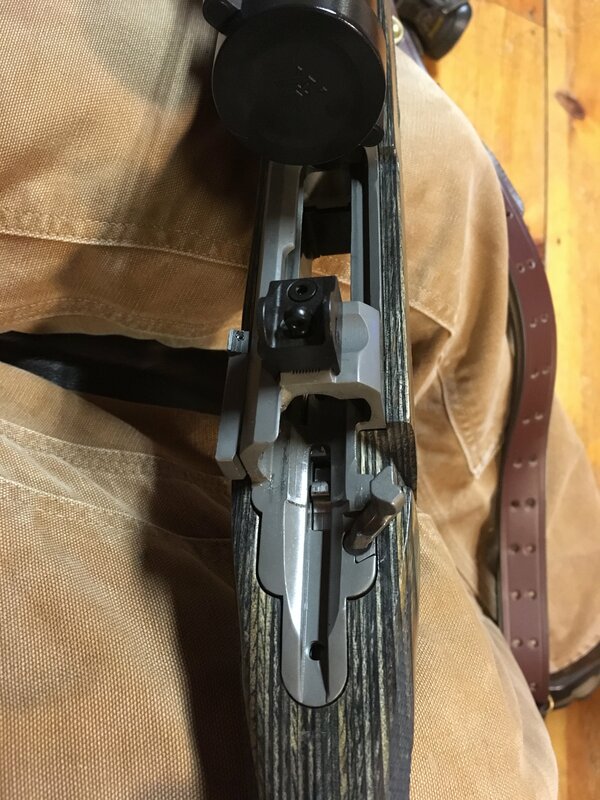 Every Mauser based rifle I've had apart has been set up the same way with minor variations. 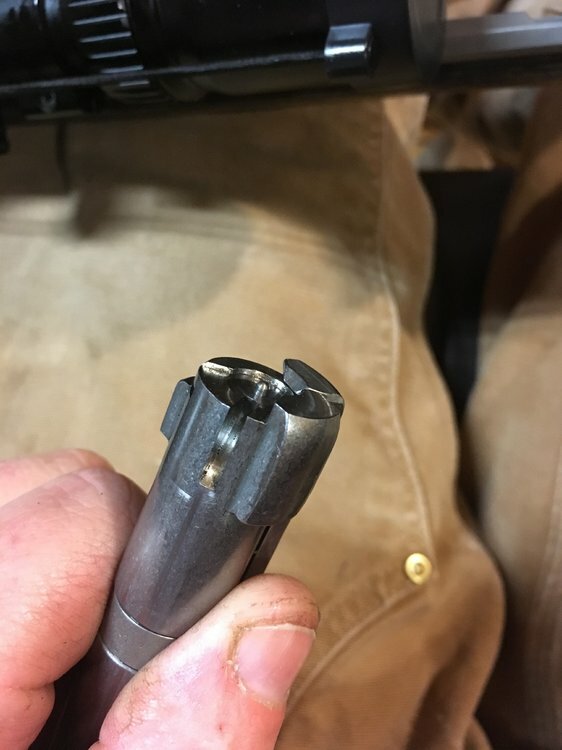 Did you take the bolt apart? I don't unless I'm doing a detail clean. Bro. I build savage rifles. I've cocked up more bolts than i care to admit. Im literally the worst example you can imagine. So much so that i built a c clamp jig to draw back the spring lol. I did not, this is on its first 100 rounds of FMJ brass, it’s not super dirty I’ve dismantled levers and pumps but it’s the only bolt I own. I had THOUGHT about being a wisecrack and telling you to get a bigger hammer! Luckily for you the RPM Team took care of you!! You'll be fine. Levers are much more complicated than bolt guns. Glad you got it figured out with some quality help.